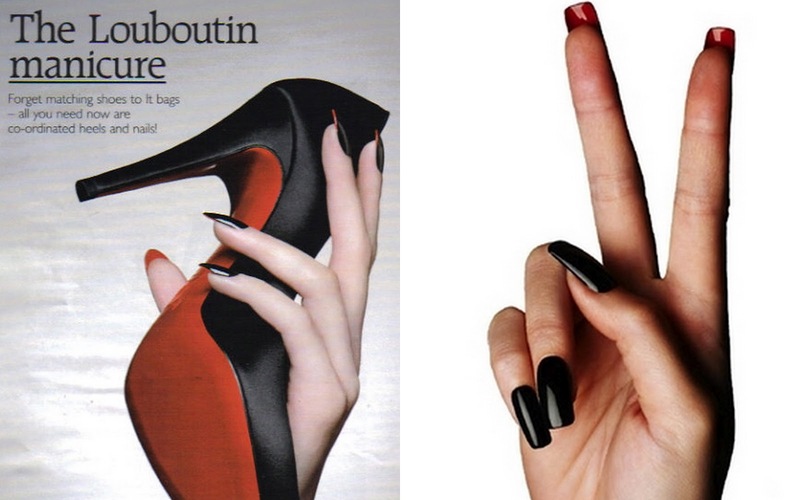 BeautyFruityBlurbs: Another Louboutin Post: The Louboutin Manicure! Another Louboutin Post: The Louboutin Manicure! What you need to get this look: black and red nail polish and top coat. Standard nail polish colours that are easily available. You will also need Q tips and nail polish remover. 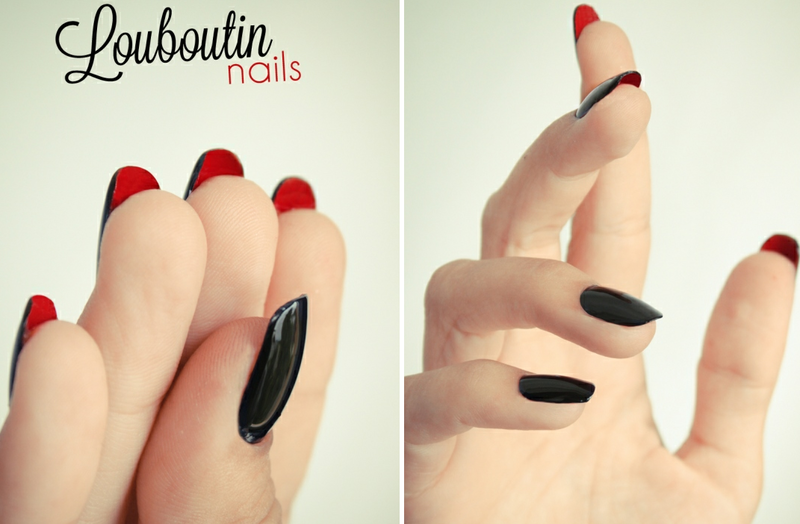 What you need to do: Use the red nail polish first on the inside of the nail, don't worry if it gets a bit messy, just pull the tips of your skin back and paint away. It might be helpful if you get someone to do your right hand for you/or left depending on whether you're left or right handed. Let it dry and paint the top black. Use the top coat for a glossy look. Once it has dried, dip the Q tip in nailpolish remove and use it to remove the red messy bits off your skin. That's seriously wicked... I so have to try that!